A short sale or pre-foreclosure is where the owner owes more money on a property than it is actually worth and is trying to sell it for less than the amount owed to the bank. The home owner can accept an offer to purchase from a buyer, but the contract is still subject to final approval by the bank or banks if there is more than one lender on the property. The bank will have to agree to take less than what they are owed. A short sale allows the homeowner to stop the foreclosure process and save them from the impact that a foreclosure would have on their credit score. Homeowners do have options available to avoid foreclosure and should immediately seek the advice of a local short sale real estate professional when they feel they can no longer keep up with the mortgage payments. That’s where we come in. The Snyder Group Network has over 10 years of experience in the short sale process. If you plan to purchase a short sale in Las Vegas, be prepared to be patient. Short sales, which can take 3 months to a year to close, have soared in recent years to record heights in the Las Vegas Valley areas. In May 2013, 32.1 percent of all existing home sales in Las Vegas were short sales. The rising short sale rate comes amid plummeting sales of foreclosed homes, which once was a big source of the local Las Vegas inventory. Short sales still continue to play a major role in the housing market this year before possibly tapering off in 2014, primarily due to the Mortgage Forgiveness Debt Relief Act set to expire Dec. 31, 2013. This act will no longer be excepting any extensions. The amount of money a bank writes off when agreeing to sell a home as part of a short sale could become taxable to sellers when filing their income taxes starting in 2014. Our specialists can guide sellers through their options. 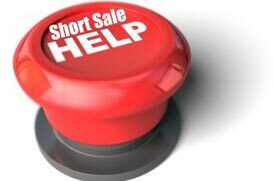 Las Vegas short sales can be a great solution for homeowners who want to sell their homes when a hardship situation exists, and who owe more money than what the home is worth. In the past, there were very few banks or lenders accepting short sales. In recent years, banks and lenders have become much more flexible to short sale transactions due to the overwhelming market changes. For buyers, there is a huge inventory of short sale homes in the Las Vegas Valley that can be bought below market value or under the appraised value of the home. If you are interested in purchasing a short sale home, call our team and we will find the perfect one for you.